The teen movie genre is very much alive and thriving. Each year brings at least one or two new films that stand out above the rest. Last year, BLOCKERS and EIGHTH GRADE added new ideas to the genre. This year, BOOKSMART is setting new standards. 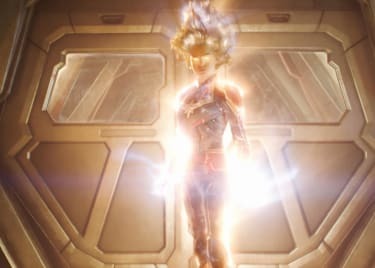 After years of shining work in front of the camera, actress Olivia Wilde took over the director’s chair to bring audiences the best teen movie of 2019 — and maybe one of the best teen movies ever. 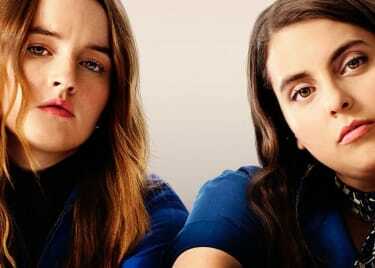 Starring Beanie Feldstein (LADY BIRD) and Kaitlyn Dever (SHORT TERM 12), BOOKSMART is a clever, hilarious and heartfelt coming-of-age comedy that sets the bar high for future teen movies. Amy and Molly are longtime best friends and high school seniors. They’ve committed their entire teen lives to getting good grades, so they can go to the best colleges and follow their dreams. From the moment we meet them, it’s clear that these two aren’t your average teen movie characters. They don’t party or cut class; they don’t get into trouble with drugs and alcohol; and it doesn’t seem like they have a lot of experience in the dating department. What they do have is boatloads of charm. Molly and Amy’s love for one another is as delightful as their dorky sense of humor and their desire to pursue career paths that will change the world. They’re relatable in a way that isn’t often represented in teen movies, which tend to focus on kids who love cutting up. (Not that there’s anything wrong with that.) As Amy and Molly, Dever and Feldstein (who happens to be Jonah Hill’s sister) have the most wonderful chemistry, and you really believe that these two have been best friends for life. On the eve of graduation, Amy and Molly suddenly realize that maybe they’ve been missing out on a key component of the high school experience: fun. Not that they haven’t had their own kind of fun — but they definitely haven’t attended any ill-advised parties. As it turns out, Amy’s crush, Ryan (Victoria Ruesga), and Molly’s crush, Nick (Mason Gooding), are both going to a huge graduation bash. The girls make it their mission to attend, too. Along the way, they encounter a possible serial killer, an elaborate murder mystery party, and have countless run-ins with their school’s hilariously eccentric wealthy kids, played by Skyler Gisondo of “Santa Clarita Diet” and Billie Lourd of STAR WARS: THE LAST JEDI. 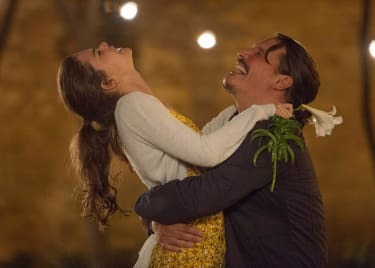 Although the “one wild night” story is a familiar one, there’s a lot about BOOKSMART that sets it apart from other teen comedies. Sure, Amy and Molly have a few drinks, and they even experience their first big fight, but there’s a special message at the (very big) heart of this film: Over the course of the night before graduation, Amy and Molly’s assumptions about their classmates (and one awesome teacher, played by Jessica Williams) are put to the test. They soon realize that they may have judged everyone, including themselves, a little unfairly. Graduating high school and heading off to college is a huge part of growing up, but you can’t really grow up without learning a lesson. This one is something that everyone, regardless of age, can identify with. That makes BOOKSMART smarter — and sweeter — than your average teen comedy. 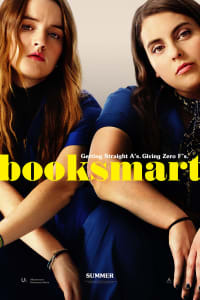 BOOKSMART opens on May 24.